Today I’m going to show you how to make .NET Remoting, but first of all we should know what .NET Remoting is. 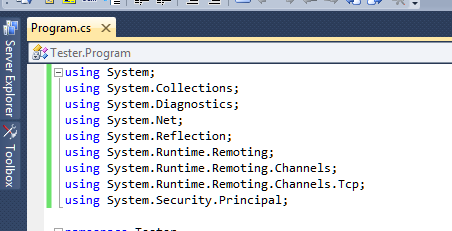 .NET Remoting is a mechanism for communicating between objects which are not in the same process. It is a generic system for different applications to communicate with one another. The applications can be put inside the same server, different server within the same network, or even different server within the different network. 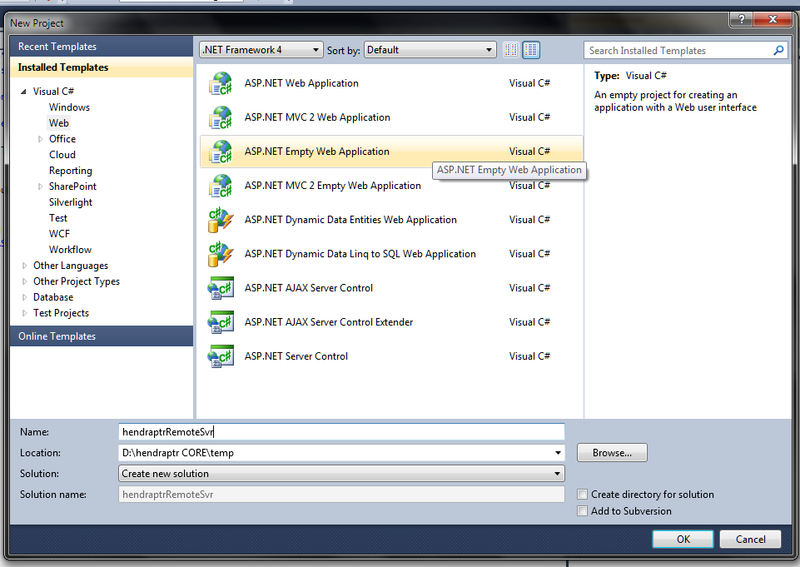 .NET Remoting allows an application to make an object (termed remotable object) available across remoting boundaries, which includes different appdomains, processes or even different computers connected by a network. 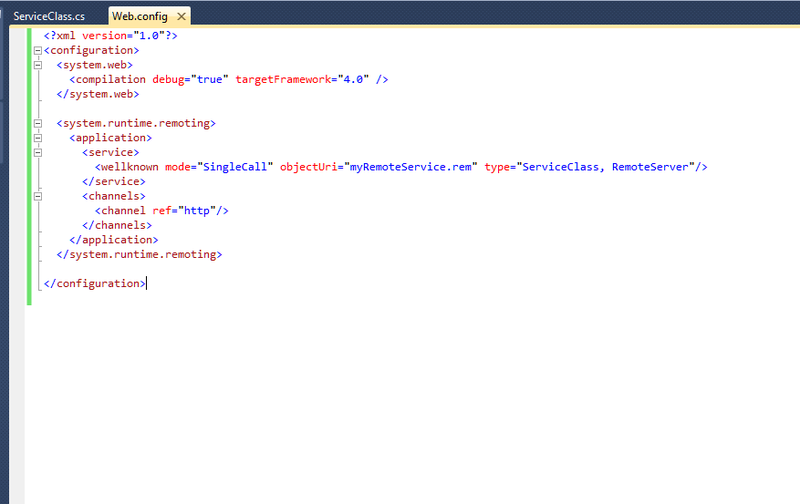 The .NET Remoting runtime hosts the listener for requests to the object in the appdomain of the server application. At the client end, any requests to the remotable object are proxied by the .NET Remoting runtime over Channel objects, that encapsulate the actual transport mode, including TCP streams, HTTP streams and named pipes. 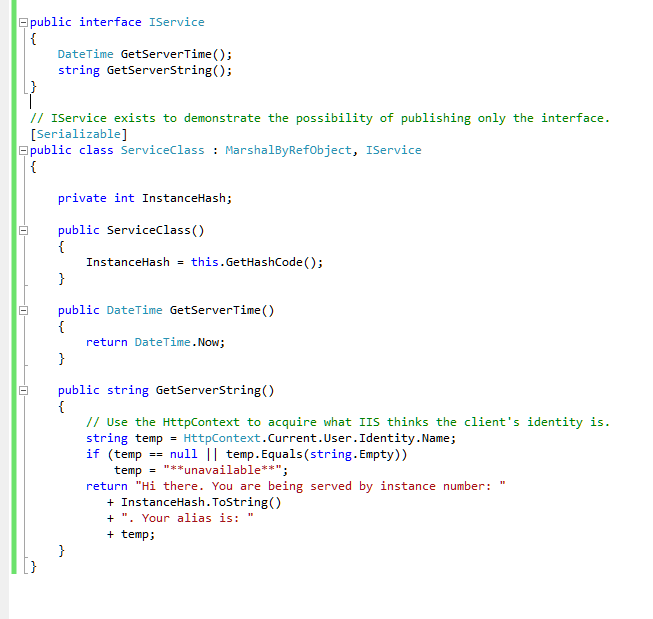 As a result, by instantiating proper Channel objects, a .NET Remoting application can be made to support different communication protocols without recompiling the application. 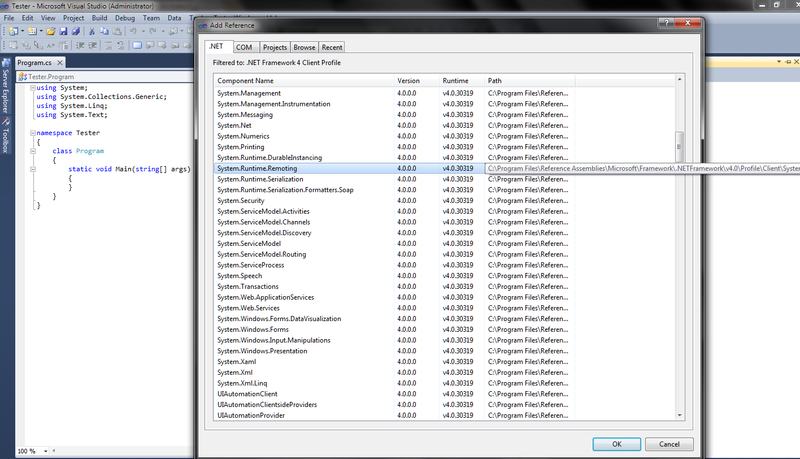 The runtime itself manages the act of serialization and marshalling of objects across the client and server appdomains. Okay, enough for the theory, let’s begin to the practice. 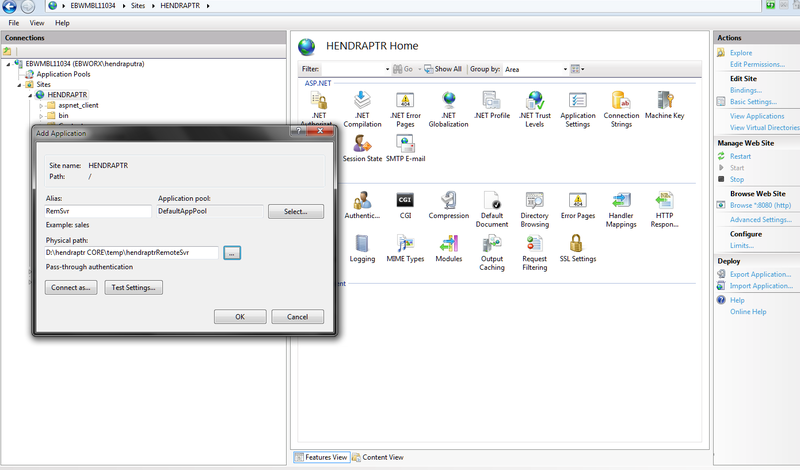 And then we’re ready to call our remote server, by using the Activator.GetObject() and cast it into the interface. 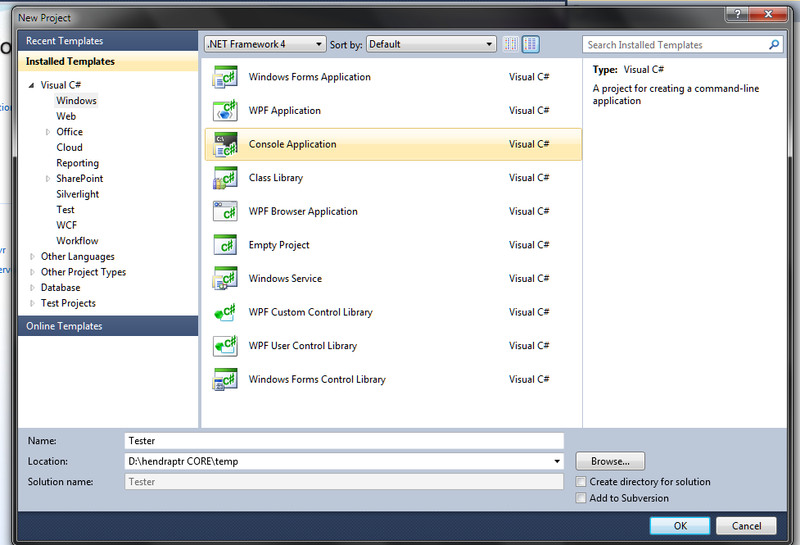 2 Responses to "C# .NET Remoting"
Gan lain kali yg bagian coding bagusnya dalam bentuk text aja daripada bentuk image.